Trampoline House is facing one of the greatest challenges ever! We've known for a long time that our holistic work for and with asylum seekers is extremely efficient within the areas of social network, counseling and system understanding, and democratic citizenship. We've been less efficient in the last area of our work: assessment and enhancement of skills and access to the job market. The problem has been that the work needed in order to succeed in that area demanded more resources than we had, both with regards to know-how and finances. Therefore, we're very proud and happy to announce that TrygFonden and Tuborgfondet have decided to fund our launch of our new project, 'Next Practice'. The purpose of the project is to map people's qualifications, enhance their skills and find them the right job. But why don't we just let the municipalities do that job? It's the jobcenters' task we're speaking of here. And almost all members of parliament agree that all refugees have to work and be self-supporting, so why does Trampoline House need to get involved in that? We do, because the devil's in the detail. When the municipalities take over responsibility for their new citizen, he or she has already spent between 6 months and 3 years in an asylum center. A period of more than 3 months in an asylum center can break most normal people and turn them into clients of the system. The municipal effort therefore comes too late. Trampoline House's response to this systemic challenge is as simple as common sense, and it's based on nearly 7 years of experience from our work: Integration should start from day 1. Therefore we're hiring a new Job Coordinator, who'll be working to map asylum seekers' skills and to develop af network of companies who'd like to hire them. Another important part of the plan is to restructure all the volunteer work that asylum seekers already do in the house, so that these tasks also contribute to qualifying them for jobs outside of Trampoline House's four walls. Our goal is that 50% of all asylum seekers are a part of the job market before they get asylum in Denmark. "But are they allowed to work?" you might ask. Yes. It's the best kept secret in the asylum law that asylum seekers have the right to work in Denmark. 'Next Practice' is a constructive employment of the laws in place. 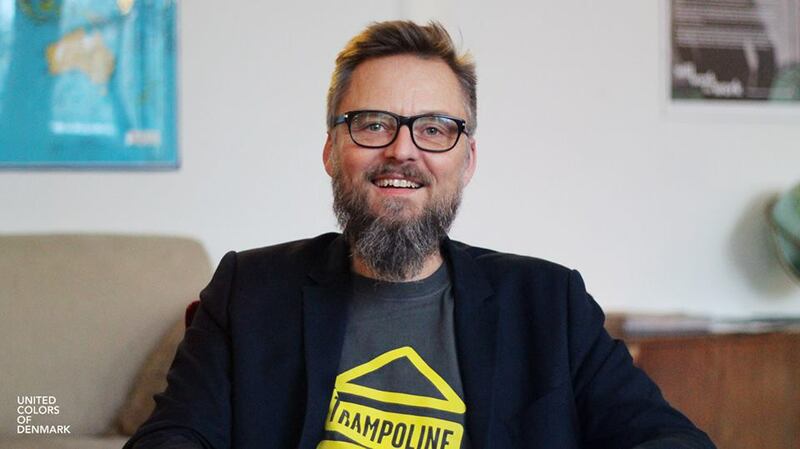 It's all possible because TrygFonden and the Tuborg Foundation have decided to support Trampoline House with a total of 5.2 million kr. during the next 3 years. We're incredibly proud to have these two important foundations as our partners, but we're just as proud of all of you who've chosen to subscribe to monthly donations to support Trampoline House's work. Our total budget during the next three years exceeds 10 million kr., so we still need all the support we can get! Together we can prove that it's beneficial to society to give people who seek asylum a social network, access to counseling, democratic citizenship and a job.